Ever heard about jamming? I hadn’t until I joined the Service Design Jam in March 2013 and ended up in the winning team with the idea ”Memorylanes” which we continued to work with for half a year later. 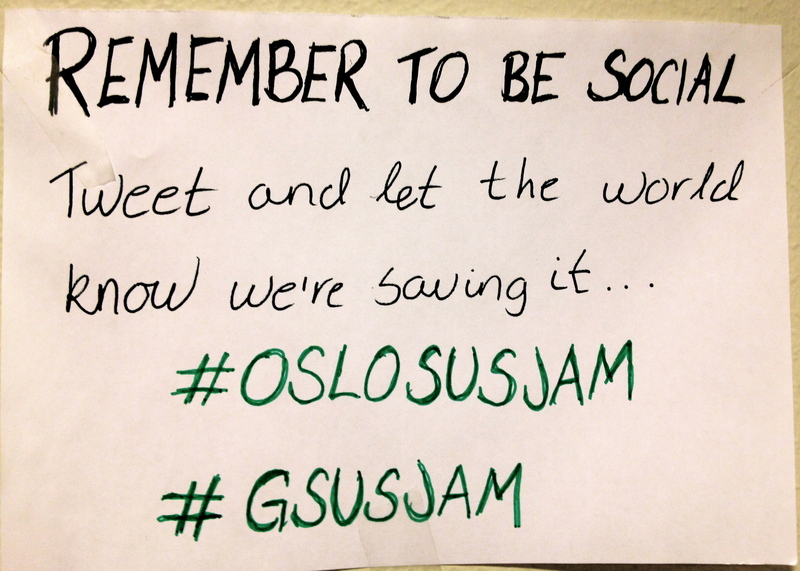 This fall they expected 65 Sustainablity jams, on five continents, making this the biggest Global Sustainability Jam ever! A jam is when people interested in the fields; Service Design, Sustainability, Public sector, etc. meets for an intensive 48-hour workshop to create brilliant ideas related to different “themes”, with people from different backgrounds and nationalities who they never met before! The word “Jam” is even found in the business world. “Innovation Jams” are used to facilitate gathering insight together with internal and external parties. The participants are encouraged to share everything they know and come up with new ideas together! (Doz et. al. 2008). I want to share my experience as an organizer, and hope to influence more people to join this brilliant concept, either as “jammer”, an organizer, coach or even a sponsor! Next jam, is the Service Jam in the “7th of March weekend”, 2014.